In competitive sports, it’s instilled that winning is paramount and failure is not acceptable. Fans don’t want to pay good money to see poor teams, they want champions, winners or at least a team or club they can be proud of. Growing up we watch sporting icons who inspire and light up their respective professions, raising the bar of excellence and sporting achievement. Take the ’92 Dream Team. Every player (Ok maybe Christian Laettner aside) was a cut above the rest, and had one thing in common: They hated to lose. It didn’t sit well with them. They strived to be at the pinnacle of basketball and most certainly achieved this during their careers. How would they react if the message from front office was, “Look guys, we need a shot at the draft, we are making moves to get as close to the number one slot as possible, and this team will be going in that direction.” Yes you could argue players of such caliber wouldn’t be in a bad team. Well take a look at the Lakers. Kobe Bryant is a bona fide superstar, on a team which seems to be setting up for a ‘Tanking’ run at the 2014 lottery. Their roster is weak on talent, and depth. It has an ageing star in Kobe, coming off one of the worst types of injuries an NBA player can have. Pau Gasol as a big man who feels under appreciated. At point guard, Steve Nash is pushing 40 years of age, and in a declining state of physical condition to run the show in Lala Land. 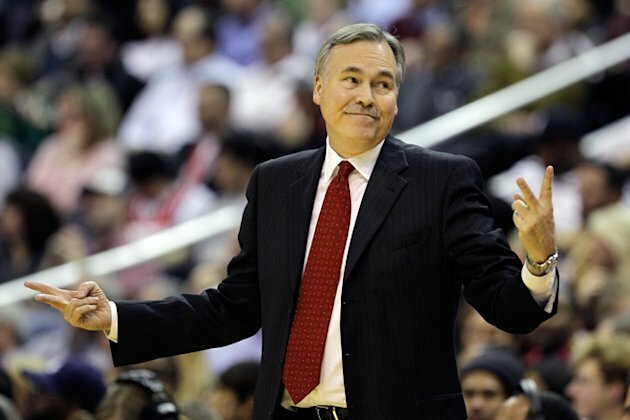 Throw in a strong dislike by Lakers fans of coach Mike D’Antoni and his lack of defense on show in games, they are a team at a crossroads. Do they hit the reset button, or try to rebuild whilst remaining competitive? Firstly, they have no real tradeable assets aside from Gasol, and even then at 33 with a $20 mil final year of his deal remaining, not many teams want to swallow that. Metta World Peace has left for the Big Apple to add some steel to the Knicks, Dwight “Loyalty” Howard had jetted off to Houston to recover form and fitness and add another piece to a talented team, leaving the team short of a few pieces. In their current state, they in all likelihood miss the playoffs, so a losing season is pretty much a banker. Question marks will be over Bryant and how well he can recover from injury to lead the team. In his absence the leadership will fall on Nash, having successfully played some of his best basketball under D’Antoni in Phoenix during the ‘Seven seconds or less’ era, to take charge of the players that will be relied upon to deliver wins in LA. This has the Lakers looking at the other available option, in ‘tanking’, to gain a favourable spot in the highly billed 2014 NBA Draft. I can’t see players like Kobe, Gasol & Nash comfortable with that option, but it may be the Lakers best hope at turning it around for the longer term. Teams like OKC, Indiana & Golden State have built sensibly over past few seasons, adding assets and good draft picks. Teams like Orlando and Phoenix are adopting similar models. They know they are in no position to contend for playoffs, so why make a run at scraping 8th spot and ruining a chance at a great draft prospect for sake of a first round exit. So their front office and coaches are investing time in scouting and ensuring they get maximum value in trades and picks. This is the strategy the Lakers should be looking at, instead of quick, band-aid fixes. Rumours have them making a run at Carmelo Anthony or even Lebron in free agency to revitalise them, and have them as a Western Conference superpower within the next couple years. However in this time Kobe will be older, and no telling if his body holds up. All the while they continue to pay top dollar contracts. Yes they may be box office on television, but the same will happen again leaving them to reboot or reload without tearing roster apart. The tough Western Conference is more competitive than the East, many teams either at beginning of rebuild phase or in the middle of their development are, it would seem, ahead of the Lakers and have a clear definition of where their franchises are heading. As of now, there is no clear idea of what is happening in for those in Gold & Purple. They have no clear forward plan that can be seen from the outside, I’m sure Lakers fans will have fingers crossed Mitch Kupchak & Jim Buss have one, although it’s hard to see what their next moves will be. It’s looking like a long way back, especially now the Clippers are the power in LA.